Just imagine: you’re visiting one of the most famous sites in Rio de Janeiro, when you turn around and your boyfriend is down on one knee, a ring in his hand! If only there was someone else who could capture the moment as it unfolded! Fortunately for Yolan and his girlfriend, this is exactly what happened. Rio de Janeiro is Brazil’s second largest city, famous for its Copacabana and Ipanema beaches, as well as its incredible landscape and vibrant yearly Carnaval, which includes fantastic parade floats and vibrantly flamboyant costumes and samba dancers. Rio is also nicknamed the Cidade Maravilhosa (the Marvelous City), and it is easy to understand why. Forested mountains surround Rio and its shimmering beaches. From surfing to hang gliding, snorkelling to dancing, there is something for everyone in Rio. Standing watch over the city and its surrounding area on the top of Corcovado (“hunchback”) is the enormous statue of Cristo Redentor, Christ the Redeemer. At 38m tall, he stands with his arms stretched out to the side, gazing down upon Rio and its people. The statue is visible from almost anywhere in the city. It was at this famous site that Yolan wanted to surprise his girlfriend with a proposal. In order to capture the event as it actually happened, he hired Angely, a professional photographer. Paparazzi style, Angely photographed the precise moment when Yolan went down on one knee at the foot of the Cristo statue. Not fazed in the slightest by the other tourists in the area, Yolan asked his girlfriend to marry him. And she was clearly not expecting it! Angely captured it all, including other tourists taking photos and congratulating the newly engaged couple. Afterwards, Angely took more photos of the couple, clearly still quite emotional, with the view from the Carcovado behind them. In true testament to Angely’s skill, although there were many other people in the area at the time, Yolan and his new fiancé still take centre stage throughout. The other people only add to the images. Angely also took several beautiful photos of Yolan and his fiancé without anyone else in the shots! 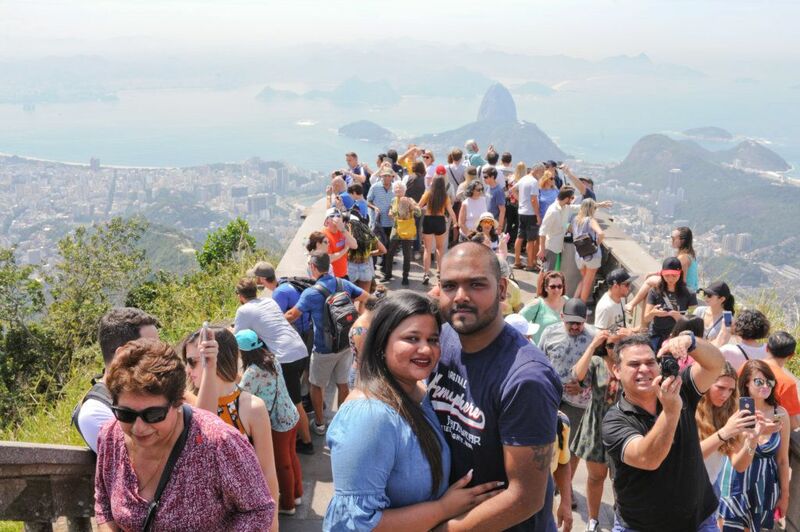 This is really remarkable when you factor in how busy the site of the Cristo Redentor statue can be on a clear day, such as it was for Yolan and his fiancé. The images are more posed than the initial paparazzi shots, but they are still natural and not at all stiff. 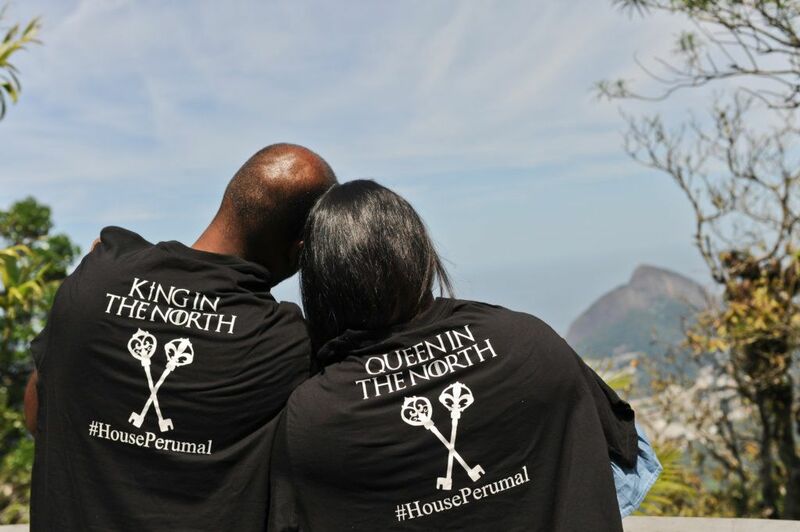 Some of the best photos, however, are of the couple with their Game of Thrones-inspired t-shirts. Clearly, Yolan did a lot of planning for this day! 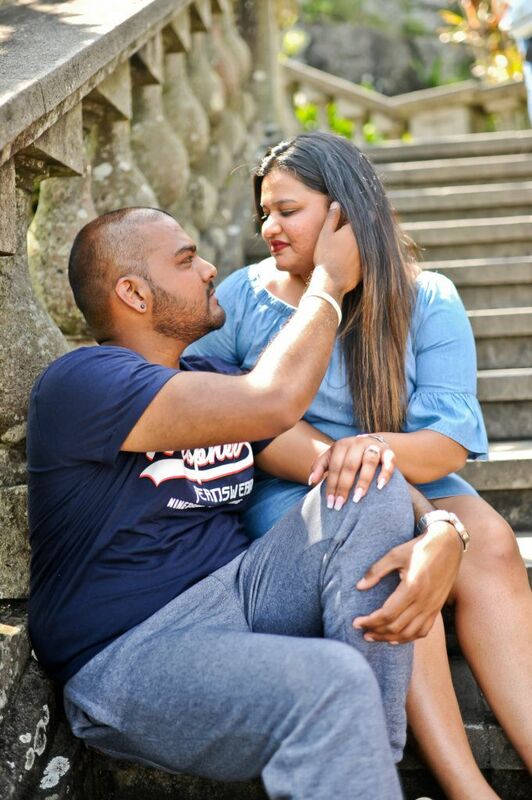 Engagement photo shoots are popular today, but they don’t catch a couple’s first reaction, as the actual moment of proposal has long since passed. 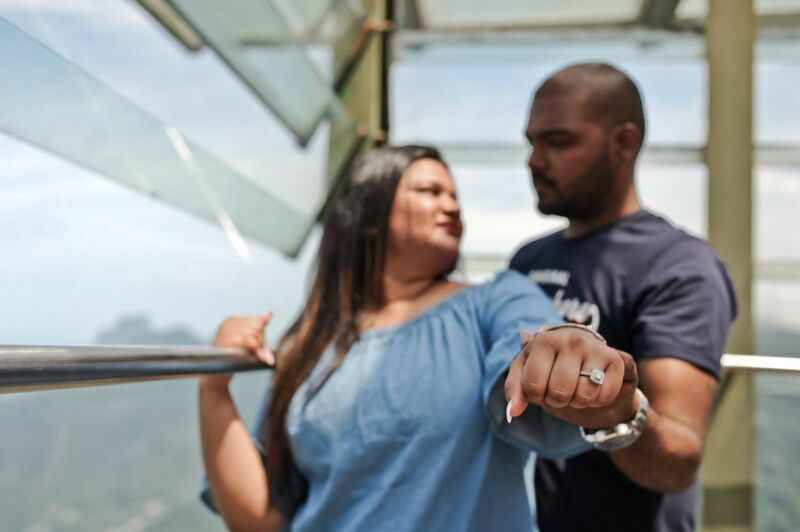 But with a professional surprise proposal shoot like this one, photographers can take excellent pictures of the precise moment when a couple becomes engaged. 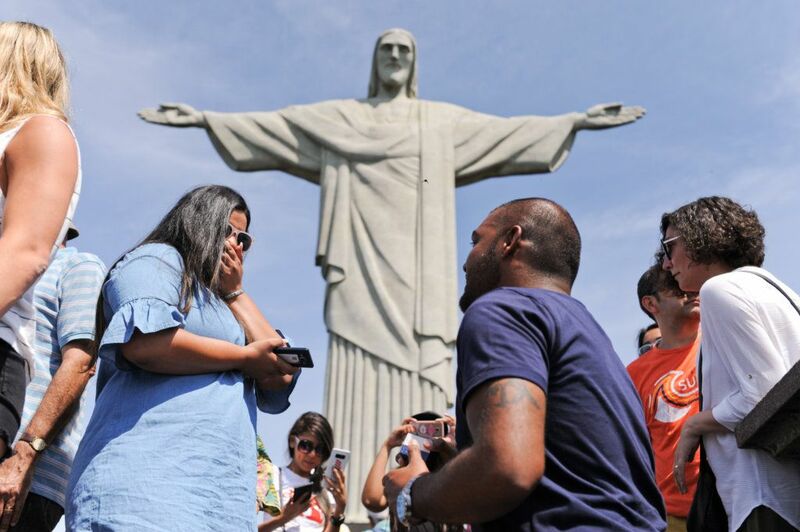 Yolan and his new fiancé can look back fondly at this surprise proposal in Rio and every time they look at these terrific photos. The images will be perfect for using for upcoming wedding announcements, and can easily be shared with friends and the rest of their family.